Preparing for a disaster can be challenging; it takes time, research and lots of preparation. With Legacy Premium's help, you can be stocked with survival supplies long before disaster strikes. The Basic 2-Person Bug Out Bag is equipped with food, water, shelter and survival tools, all neatly packed in one backpack for speedy evacuation. 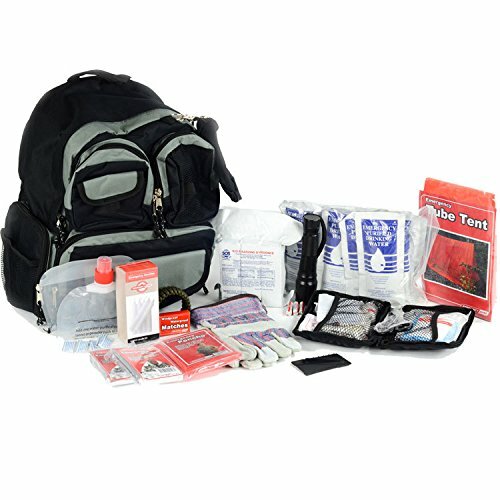 Disaster survival bug-out bags are affordable and convenient. Don't get caught unprepared should a disaster hit your area. No matter the disaster, Legacy Premium can help you prepare your family ahead of time with quality survival supplies and tools. Legacy products are made to last long-term, are affordable and help to simplify disaster preparations. Basic 2-Person bug-out bags are pre-packed with important supplies so when disaster strikes, you can bug-out quickly and get to safety. Take advantage of Legacy Premium's bug-out bags and disaster supplies.